I apologize in advance for not being more descriptive about my specific issues but I'm not very IT astute - as evidenced by the number of viruses on my computer. I have a Dell desk top running XP professional that was recently purchased from my employer when we upgraded some work stations. I believe the only anti virus on the machine is the free version of AVG. With in a couple weeks of surfing the ad ware, weather alerts began and then my browser was redirected every time I opened a google search page, clicked into a dialogue box, clicked next on a web page, etc. When reading blog sites like pro football talk, the blog titles are covered by flashing boxes with warnings about the computer being ready to crash, winning prizes, etc. There is an ad at the bottom of this page saying I need to update my version of media player. Under the box it says "Ads by ReMarkable" on the bottom left and "Ad Options" on bottom right. I probably caught these viruses from surfing "R" (or worse) rated websites. That being said, If someone wants to discuss a project to develop a "cyber condom" to specifically protect users who occasionally view naughty websites I'd consider funding it! If possible please couch any answer in layman's terms. Just let me know if there is a more appropriate place low I.T. I.Q. people should start. My name is SleepyDude I will be helping you with your Computer problem. I know that having a computer with problems can be very frustrating but I will do my best to help you fixing the issue. Please note I'm currently in training, all my responses will be revised by my Teacher before I post so expect a slight delay between replies. On the bright side, you have two people to examine your problem! IMPORTANT: At GeeksToGo we do our best to help you solving the problem but sometimes things don't go as planned. To be safe than sorry you should Backup your important data to a safe place, anywhere except on the computer with problems. The all fixing process need to be executed from a user account with Administrator privileges also some of the tasks need to be executed in Safe Mode, you should save or print the instructions for use when you don't have access to the forum. I need some time to revise your log in the meantime can you please post the Extras.txt log OTL created on C:\Documents and Settings\User\My Documents\Downloads? Also I would like you to move the OTL.exe located on the same folder to the Desktop. Thanks. thank you for the help & I'll do my best to follow your directions. Not sure if I moved the OTL.exe file to the desktop correctly - did a right click, send to, desktop (create shortcut). Is that sufficient? One thing I should mention - when I turned on my machince this morning micro-soft security had updated and asked if I wanted to use a firewall. I agreed to the recommended action & hopefully haven't made the problem worse. run the chkdsk utility on the volume C:. Now before start working in your malware problem, we need to deal with some Hard Disk problem identified in your log. ATTENTION: Before executing the steps bellow please copy all the files you can't *really* lose to an external drive, another computer, DVD disk, etc. Your log show that you have two Antivirus programs installed, AVG 2012 and Microsoft Security Essentials! Contrary to what some people think, having more than one antivirus program doesn't give you more protection. 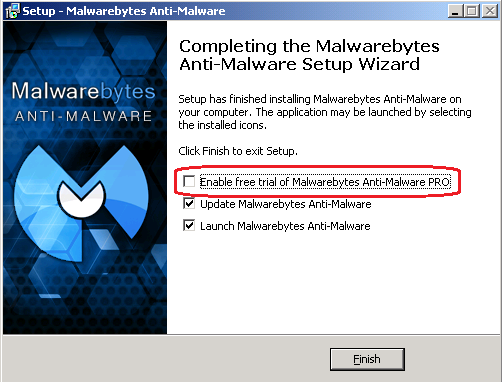 With several Real-Time protections active the computer becomes slower accessing files and could crash due to resource conflicting, also you could get False Alarms when one AV starts identifying as virus the files from the other antivirus program. Click Start Menu > Settings > Control Panel, open the applet called Add or Remove Programs, locate AVG 2012 on the list, select the Entry and click the Change/Remove button to uninstall the program. Execute the file avg_remover_stf_x86_2012_2125.exe and follow the on-screen instructions. Any problem removing AVG 2012? OK, I've moved the file to the desk top and uninstalled the AVG program. I'll let you know as soon as I run the disk check and down load the AVG remover. starting at 0x140ca for possibly 0xe clusters. in file 0x3c5d is already in use. from file record segment 15453.
starting at 0x3af09b for possibly 0x20 clusters. in file 0x5dd9 is already in use. from file record segment 24025.
starting at 0x3aece7 for possibly 0x2f clusters. in file 0xcac2 is already in use. has allocated length of 0x8df5000 instead of 0x6ed0000. with type code 128 in file 51906.
reference 0x4900000000cc21. The expected attribute type is 0x80. from file record segment 52257.
reference 0x2500000000cc22. The expected attribute type is 0x80. from file record segment 52258.
reference 0x2200000000cc32. The expected attribute type is 0x80. from file record segment 52274.
reference 0x1100000000cc33. The expected attribute type is 0x80. from file record segment 52275.
of index $I30 with parent 0x2fb1 in file 0x7486. Deleting index entry 1FE5.tmp in index $I30 of file 12209.
with parent 0x2fb1 is not the same as 0x85000000003c5d. Deleting index entry Local State in index $I30 of file 12209. Deleting index entry LOCALS~1 in index $I30 of file 12209. Recovering orphaned file 1FE6.tmp (15453) into directory file 12209. Recovering orphaned file LOCALS~1 (29830) into directory file 12209. Recovering orphaned file Local State (29830) into directory file 12209. Cleaning up 676 unused index entries from index $SII of file 0x9. Cleaning up 676 unused index entries from index $SDH of file 0x9. Cleaning up 676 unused security descriptors. Inserting data attribute into file 15453. Inserting data attribute into file 24025. Inserting data attribute into file 51906.
should be filled with zeros. in file 0x4748 is incorrect. Repairing Usn Journal file record segment. 78116028 KB total disk space. 10126088 KB in 47743 files. 17884 KB in 5301 indexes. 159760 KB in use by the system. 67812296 KB available on disk. 19529007 total allocation units on disk. 16953074 allocation units available on disk. I will provide instructions to run another OTL scan that will show us if all AVG traces are gone. When the scan completes, it will open notepad with OTL.Txt. The file is saved on the same location as OTL. Please copy (Edit->Select All, Edit->Copy) the contents of the file and post in your topic. thanks Sleepy Dude - sorry for delay but I didn't see an email notifying me of this new message. I'll do this by tomorrow. here is the listchckdskreport. Not sure if this is the previous one or a new one because double clicking the desktop icon only opens this report and I don't see an option to run a new report. - Because of the cleanup process some of the programs I have listed may not be in add/remove anymore this is fine just move to the next item on the list. - After the programs have been uninstalled Reboot the computer. If requested by the uninstallers reboot the computer between uninstalls. I had a thread going and it was closed due to inactivity. I was out of town and hoping it can be reopened? @Blair: Thanks for reopening the topic. @Kolchak: I'm checking your log and I will post back shortly. Edited by SleepyDude, 30 January 2014 - 03:09 PM. Double click on the OTL icon to execute the tool. Make sure all other windows are closed. Click the Scan button and wait for the program to finish.